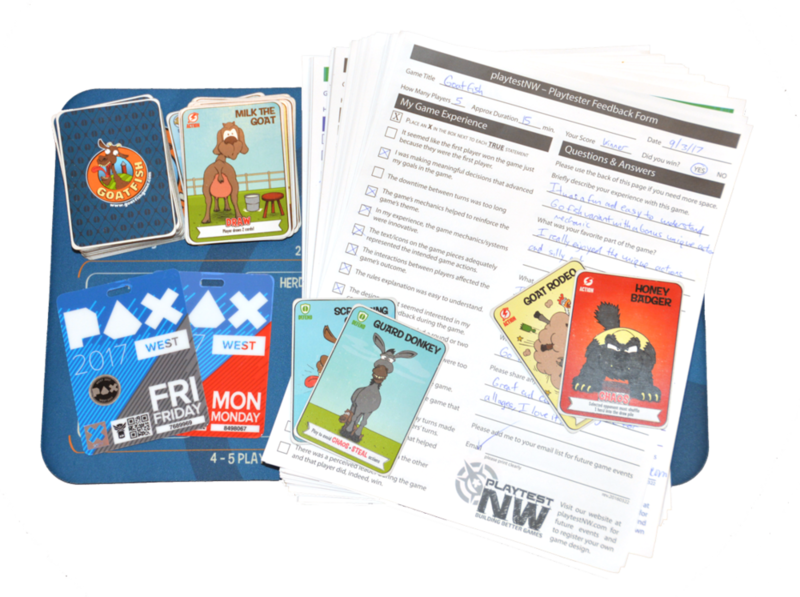 The awesome goat herding card game available now! Join our newsletter for the freshest updates! We respect your privacy and will not share your email address with others. We have some fun, new Goatfish-themed t-shirts available. 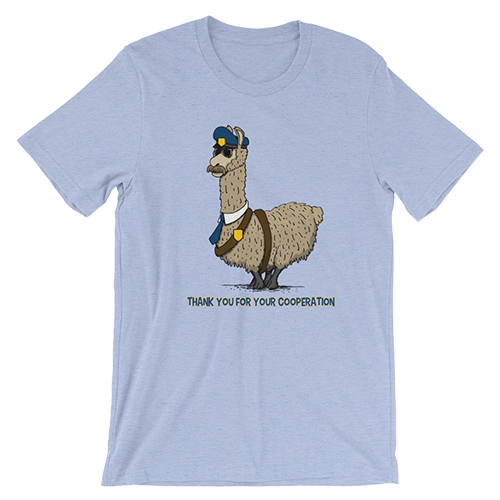 There are a variety of different character options, shirt colors, and fits for children and adults. You can see them all at our new online store: goatmyheart.com. Sound off in the comments if your favorite character is not represented and we’ll work on adding additional options. Happy Thanksgiving to everyone! All of us here at Goatfish HQ are thankful for friends and family and all of you who helped us make Goatfish a reality by backing us on Kickstarter and buying the game at retail. If you are looking for a copy of Goatfish this holiday season we have a few retailers in Seattle and Portland with copies of the game. Visit the Where to Buy page for more information. Goatfish is also available online at Amazon. We have a couple more fun events coming up this summer, next up is Opttacon, a new gaming convention coming to Sequim, WA. We'll have a booth for playing Goatfish and we will have some limited edition games and game mats available for purchase if you missed out on the Kickstarter. 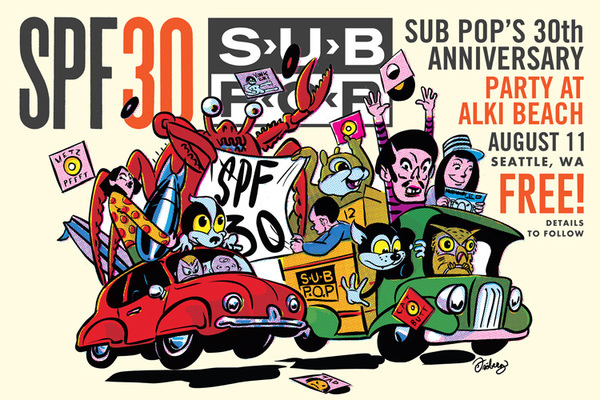 We also have a booth at SPF30: SUB POP’S 30TH ANNIVERSARY PARTY at Alki Beach in West Seattle on Saturday, August 11TH, 2018. This is a free event and should be INCREDIBLE. Learn more about the event here. Hope to see you there. We are nearing the end of our Kickstarter process as all of our backer orders have now shipped! It has been a great experience and we've learned a lot. Our hope is that everyone loves the game and shares it with their friends and family. Most of all, we are immensely grateful to our backers who supported the creation of this game and helped make it all possible! "I have had an absolute blast playing this game with my kids and my wife...we've kinda worn the cards out!" Thanks to all of our awesome supporters on Kickstarter, we achieved our funding goal on the second day of our campaign! We passed the first milestone of this campaign and now we push on to stretch goals to make the game bigger and better for everyone! If you haven't already, please check out the Goatfish Kickstarter and join the herd! Goatfish is live on Kickstarter! Thanks to all of you for your support helping us get to this point. We hope you will choose to support our campaign by becoming a Kickstarter backer. Early backers help set the tone of a campaign and establish momentum; we would love to see you on Kickstarter and please join the conversation in the campaign comments. Please spread the word to anyone you think might be interested in Goatfish and we’ll see you on Kickstarter! Our little launch event at Meeples Games got a nice mention in the West Seattle Blog: http://westseattleblog.com/…/thursday-west-seattle-dad-and…/ Thank you West Seattle Blog! Yep, we are coming to Kickstarter on Tuesday, September 26! In celebration of the start of the Kickstarter campaign you are invited to game night with our friends at Meeples Games in West Seattle. On Thursday, September 28, from 6:30PM to 9PM there will be tables to play Goatfish with the creators and drawings for board game giveaways selected from the extensive inventory at Meeples Games. Please come join us, play some Goatfish, and hopefully win a new game to take home! We have a Facebook event setup if you want to register your interest or share with others. 4 days, 26 hrs of playtesting, 100 feedback forms, innumerable goat screams. We had a great time at PAX West - Seattle huge thanks to everyone who stopped by to play Goatfish and thank you to Playtest Northwest for helping make it possible! In case you are wondering, yes, I read through all of the feedback forms! Some great ideas in there and we are working to accommodate as many of the tweaks as possible. 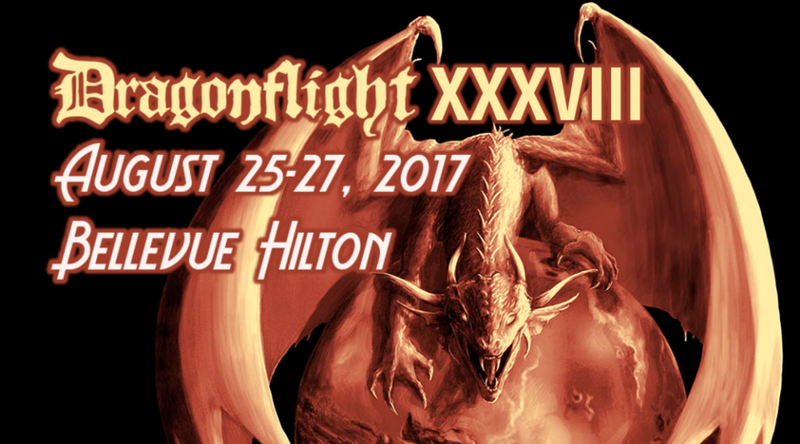 We are attending Dragonflight this weekend and Goatfish will be available for play in the PlaytestNW area on Saturday 3-9PM and Sunday 9AM-5PM. Please stop by and play a round with us if you are at the show! Hope to see you there. Today we are looking at the Boer goat, a stout South African goat breed. We were inspired by the goat's poise and powerful build and thought it would be a fun addition to Goatfish. The goat's commanding build reminded us of our friends over at Northwest Strength and Performance, an amazing group of people who train not only for physical strength but cultivate strength of mind and character. In honor of these traits, we gave the Boer goat the special ability of "Immunity to Chaos + Steal actions" when they are in a herd. This makes them one of the most valuable goat herds in the game and protects them from the likes of another South African favorite, the troublesome honey badger. We placed the Boer goat in a gym setting to support the necessary clangin' & bangin' for that imposing physique. Stay tuned for an update on upcoming conventions where you can play Goatfish. Be well! 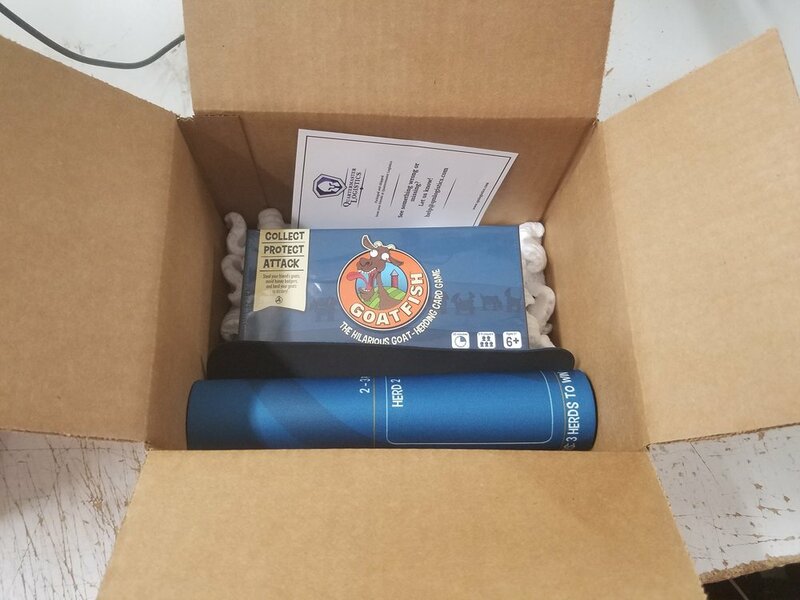 Goatfish Newsletter Promotion, Win $50! On August 31 we will award a $50 Amazon gift card to one lucky newsletter subscriber. If you haven't joined yet, now is the time! If you are already on the list, head on over to Facebook and share our announcement post for an extra entry. Best of luck to everyone! Goatfish will have a booth at the Evergreen Tabletop Expo in Seattle this weekend. We will also be attending the free Seattle Game Night on Friday, June 2nd, 2017 from 6 PM-11 PM at the Seattle Center. If you can make either event please stop by to say hello and play a game of Goatfish! We hope to see some of you this weekend. Stay tuned for a report on our experience at ETX, we can't wait! Hello everyone, please check out our latest Goatfish video. This new video teaches the simple rules of Goatfish by walking through an example game round. I hope you enjoy it! Just sharing a fun animation of the Goatfish logo. We had a blast at PDXAGE in Portland! It was our first tabletop gaming expo and we had loads of fun playing Goatfish with a bunch of great people. Huge thanks to everyone who stopped by and shared a game (and sometimes two or three) with us. We couldn’t have asked for a better group of people. We are really excited about our next expo, the Evergreen Tabletop Expo (ETX) in Seattle June 3-4. Please look for us at ETX and stop by for a game! We are having lots of fun introducing people to Goatfish and making new friends at PDXAGE in Portland this weekend. If you are attending the event please stop by and say hello! Copyright 2018. CloudBreak Games, LLC. All rights reserved.